Technology has reached a point where it’s possible to coast on existing technology for longer. But there comes a time when things don’t work as well as they should. Reaching this point means going over IT with a fine-tooth comb in order to uncover inefficiencies, make upgrades, and maybe even bring in an outside company to handle security measures. The idea is to get all of the technologies working at optimal levels, prevent hackers from getting in, and having mirror websites ready to go in case of a DDOS attack or server overload. 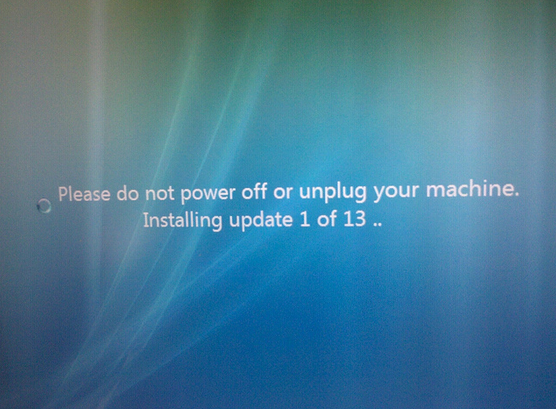 Microsoft stopped supporting XP in 2014, 12 years after the venerable operating system was first introduced. Many operations didn’t bother to upgrade because XP supplied all of their needs. Now XP has become vulnerable with the lack of support from Microsoft. It’s only a matter of time before an enterprising hacker finds his or her way to the network and exploits the lack of security. It’s time consuming to upgrade each and every computer in the network to run on a more current version of Windows, but it’s worth it. The cost of a security breach due to an old OS is far more expensive than upgrading software and getting rid of old systems that won’t run a newer version. Operations of all sizes can benefit from using a managed service of some type, even if the on-site IT staff is effective at their jobs. Turning some operations over to an outside service has the benefit of freeing up the IT staff to take care of more critical operations such as managing users and keeping the intranet up and running. And sending data storage over to the cloud results in fewer servers needed on site which reduces costs. Make sure to investigate the service beforehand in order to determine how strong its security arrangements are. The outside service is handling the sensitive data and functions of the business. Keeping information secure should be the number one priority of any service that is brought in. A mirror site is an exact copy of the main website but with a different URL. It can be live without being indexed by search engines if so desired. The idea being mirroring the main website is one of preservation of information. It’s not sufficient enough to have data backed up if the site goes down. A dead website can’t transmit information to seekers. But it can if the main URL directs to the mirror site. Potential and existing customers won’t know that anything has gone wrong with the site and can continue to access information without any interruptions. These are just some of the ways to get the IT streamlined in 2017. Audit the existing systems, look for vulnerabilities, talk to the IT staff, and create a plan of action based on the information gathered. It’s a long-term project but creating a solid intranet is well worth the effort.